Perfect for hanging trousers and skirts but can also be used for many other garments. Easy to use with two strong hinged crocodile clips with anti-slip "grippy" coating. Position of clips can be altered along the length of the hanger. Suitable from teens - UK size 16. 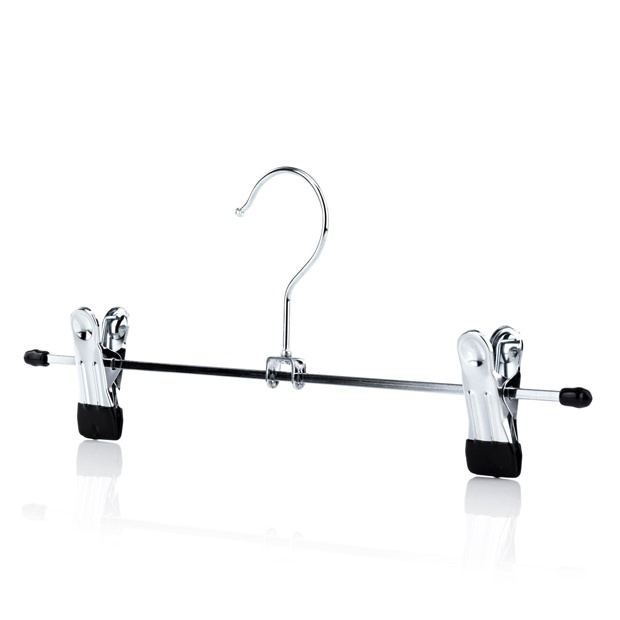 Durable, versatile hanger for a stylish, organised wardrobe. These are the best trouser hangers ever. I hang my & my husband's trousers up from the bottom of the legs (not the waist) & they hang perfectly, take any belts off to keep the shape of the trousers. Recommend 100%. Brilliant company & delivery too.